We have access to quality stone and masonry materials from around the world and at great prices*. 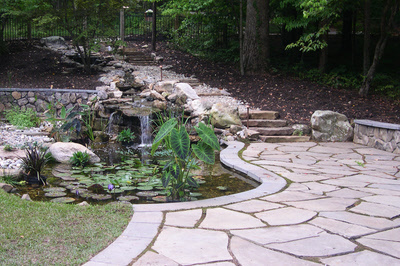 As demonstrated by our work displayed herein, Stones & Streams, LLC uses a wide variety of natural and manufactured hardscape materials. Our professional relationships with a number of local suppliers enable us to provide you with an extensive selection of materials. 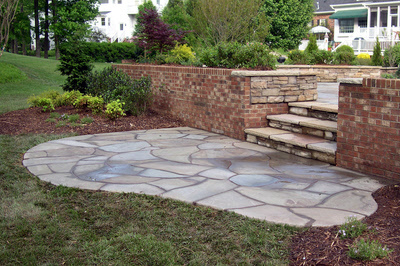 Stone is renowened as the most durable and timeless of building materials. 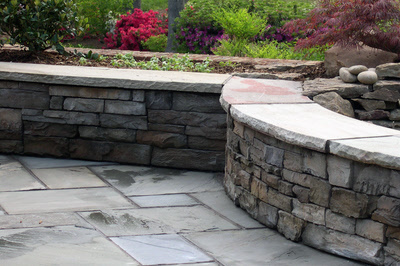 At Stones & Streams, LLC, we assure the benefits from building with stone by using the industry's "best practices" and through dedication to uncompromising quality from concept, to design, to material selection, and commitment to stone craftsmanship throughout the installation process. 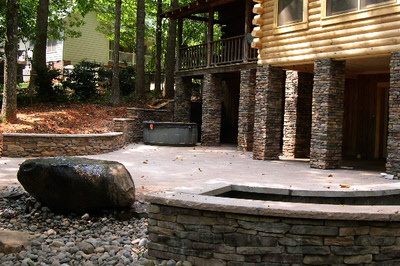 If you want to view a large variety of natural stone materials and installation styles first hand, we recommed you visit the Stone Center of Carolina (located at 6515 N.C. Hwy. 55 South, Durham, NC 27713--about three miles south of the Hwy 55 interchange with Hwy 40 between Raleigh and Durham). The Stone Center, in addition to having an expansive stone yard, has numerous on-site installations and displays featuring a wide variety of natural stone products. The Stone Center is a strategic supplier to Stones & Streams, LLC and provides us with rapid access to a large selection of stone at competative prices.